Now that you are acquainted with the recommended serving temperatures of wine and have been through the guided wine tasting experience, I have a recommendation for a wine tasting that will teach you the factors that play a major role in wine flavor. Purchase two bottles of wine that are produced by the same winery and the same varietal, but from different years. For example, you could buy two bottles of Louis Martini Cabernet Sauvignon, one from 2010 and one from 2011. Open both bottles and pour a small glass from each. Begin with one wine and take notes on the aroma and the flavor (you can reference my wine tasting guide to take notes as you taste each of the wines). Is the wine aromatic? Does the depth of flavor match the intensity of the aroma? What type of fruit do you taste? How long is the finish? Are you experiencing high or low tannins? Next, cleanse your palate and taste the second wine. Take notes on aroma and flavor again. As you taste this second wine, compare it to the first wine. Can you distinguish a difference between the two? Tasting the same wines from different years is called “vintage sampling”. I first did a vintage sampling when my husband and I visited Jordan Vineyard & Winery in Alexander Valley, California. 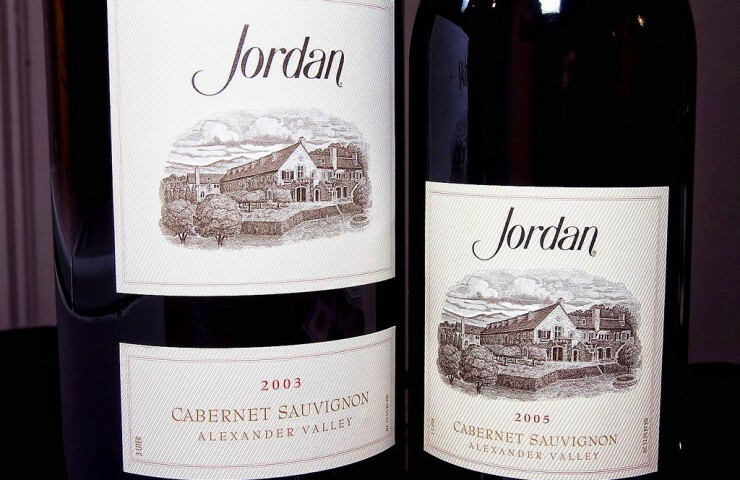 Jordan only produces Cabernet and Chardonnay (both incredible, by the way), so instead of sampling a variety of different types of wine, we had the opportunity to taste several vintages of their two wines. I surprisingly found myself liking some vintages of the Cabernet more than others, even when they differed by one year! Until I tasted different vintages side by side like this, I never understood how and why the flavor of wine varies from year-to-year. What I’ve learned since then is there are actually three main factors that affect wine flavor: the grape varietal, terroir and wine-making techniques. So let’s dig in a bit more and talk about how each of these play a role in wine. First, and the most obvious, are the grapes. As the main ingredient in wine, they play a significant role in the flavor. As an example, consider what macaroni and cheese would taste like if you omitted the cheese. Without one of the dish’s main ingredients, the taste would be extremely different. Different varietals of grapes produce wine with very different flavors. The obvious example is white wine versus red wine; different varietals are used to produce each and give white wine a very distinguishable flavor from red wine. 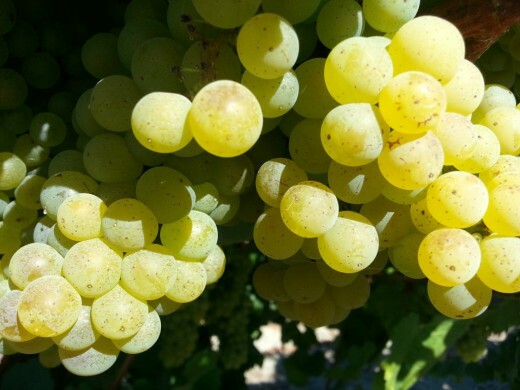 As you can see in the pictures below that I took in Sonoma, California, Chardonnay grapes are very different in color than Zinfandel grapes. Now consider two types of red wine, Cabernet Sauvignon and Syrah. Both are red wines, but are produced from two different types of red grapes. While their flavors may resemble each other more closely than a red and white wine, these two types of wines are indeed very different. Now that we’ve covered grapes, let’s move onto how terroir affects wine. Terroir is best defined as the characteristics of the land and environment that impact the production of any type of agriculture (not just grapes). Soil type, amount of rainfall, type of terrain, and temperature are very important terroir characteristics that influence grapes and wine. While the amount of rainfall and a change in climate can alter the grape crop on a yearly basis, the type of terrain and soil most likely won’t impact a vintage if a wine-maker sources grapes from the same location each year. However, sourcing grapes from new locations is quite common, and this change in location can cause vintages to vary in flavor. 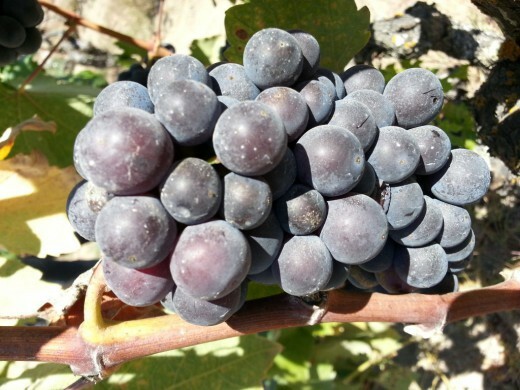 The decision to source grapes from a new location is technically the wine-maker’s decision, but the reason for the variation in wine flavor is because of terroir. For more information on terroir and the role it plays in wine, check out my article on terroir. Finally, let’s discuss the impact wine-making techniques has on wine. A great way to conceptualize this is to think about cooking and recipes. Variations to a recipe can produce meals with different flavors. The slightest modifications or improvisations that cooks often implement can impact their food. The same thing is true for wine-makers and the techniques they use to turn grapes into delicious wine. Wine-makers are known for perfecting blends of grapes in wine. Most often, a bottle of Cabernet Sauvignon that you purchase at your local wine shop doesn’t contain 100% Cabernet grapes. Check the label on the next bottle you purchase. Red wines are often produced using a blend of Cabernet, Syrah or Merlot grapes. The blending possibilities are endless; it really comes down to a wine-maker’s creativity and talent. 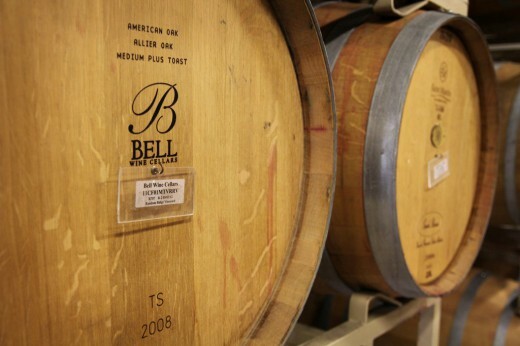 During the wine making process, grapes are fermented in large barrels made of either oak or stainless steel. 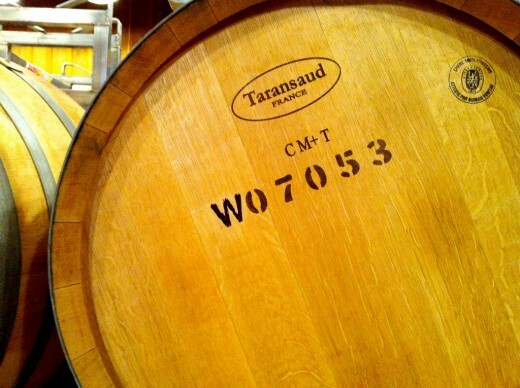 Oak barrels are most often used during the production of Chardonnay and red wines (which lend an “oaky” flavor to the wines), while stainless steel barrels are used for wines like Sauvignon Blanc and Pinot Grigio. Chardonnay, however, is not always aged in oak barrels. The next time you are purchasing a bottle, check the label to see if it says “oaked” or “unoaked”; if unoaked, you’ll know it was fermented in a stainless steel barrel. It’s important to note that not all oak barrels provide the same flavor. Oak barrels can be American oak or French oak; each type provides a different oak flavor that wine-makers can incorporate into their wine. Sometimes wine-makers will use barrels sourced solely from one location or a combination of both to vary the flavor of oak. Oak barrels are most potent during their first use, but wine-makers often choose to use barrels a second time for a milder oak flavor. Another option is to ferment some grapes in new oak and some in older oak barrels and blend them together. Wine-making is a complex process that allows wine-makers to be very creative when producing their wines. This creativity, when combined with the numerous variations within the process, allows for wide ranges of flavors of wines produced from the same grape varietal. Now that you understand how and why the flavor of wine can vary from year-to-year, go out and purchase two different vintages of wine produced by the same winery. As you taste the wines side by side, think about all of these factors we just discussed. Make notes of the different flavors and try to determine which of the factors played a role in each vintage. Have fun with it, and keep trying new wines!